Christmas is always a special season for us. For one we celebrated the birth of Jesus in Church on this day. Before that special day on our calendar, it is a month long preparation of setting up Christmas Tree, buying presents for family and friends and decorating the house to spice up the Christmas atmosphere. As you can see, we love to be immerse in the Christmas spirit. Thus when the invitation came for us to indulge in the festive mood with a Christmas buffet, we simply could not resist. So on one faithful evening, we merrily made our way down to Indulge at Park, located in Grand Park City Hall, for a taste of Sleigh's bells & Santa's Festive Buffet. 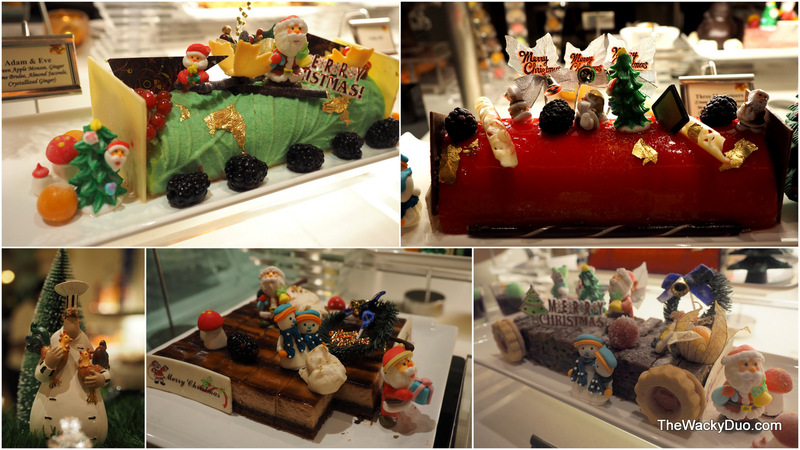 Touted as a family enclave, Indulge at Park is set in an atrium decked with Christmas trees and holly. 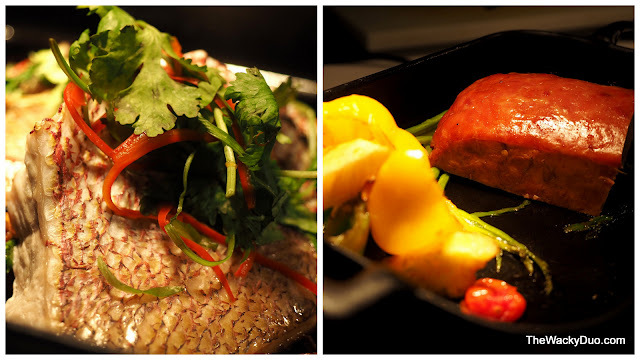 It promise a hearty feasts of European and Asian Christmas seasonal classics. 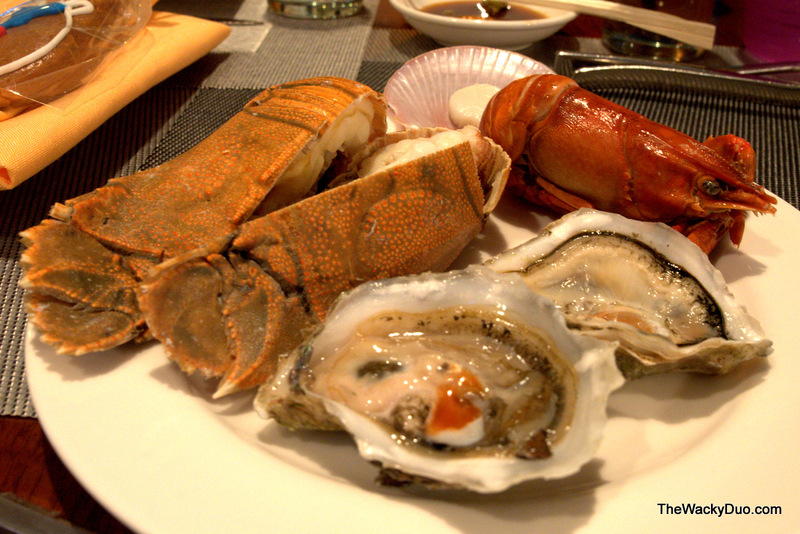 The fresh seafood is well represented at the buffet. 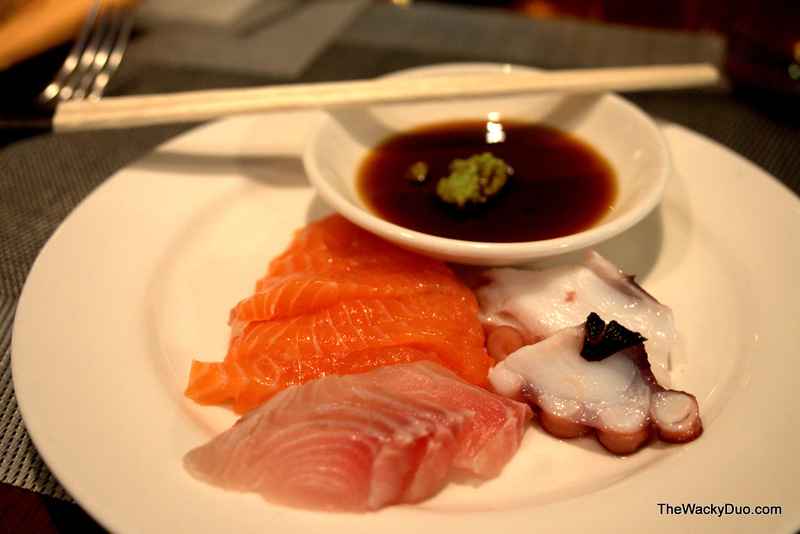 From the delightful sashimi and sushi to the fresh oysters, it is one buffet that is well stocked with familiar buffet favourites. Mini lobsters, crayfishes, fresh prawns and scallops compete the seafood spread. Crayfish, Oysters, Mini Lobsters, Scallops. YUMMY! Fresh bread is available together with an assortment of cold cuts. For the health conscious , there is a DIY salad bar. These are just appetizers, just wait till you get a sniff of the main course! Set in a standalone station is where you get the premium dishes. This is where you will find Maple Honey mustard Glazed Virginia Ham and Baked Snapper Fillet are some of the the must try dish. 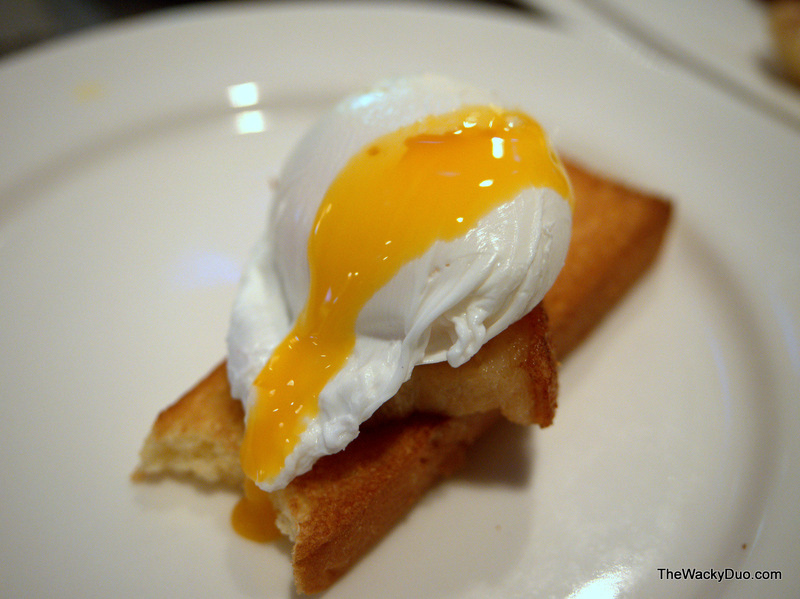 Don't miss the crackling slow cooked Pork belly with Soft Poached Egg topped with toasted Brioche bread. This is a specially created dish and a must try combination. The premium selection is fantastic and it gets better during weekends with more variety. On Christmas Eve and Christmas Day buffet, we were told the selections will be bigger with a Spanish Iberico Pork Rack thrown in for good measure. Even Little Lou could not resist the Virginia Ham. Next up are the selection of eastern and western main courses. Some of the dishes include Crispy Smoke Knuckle with Granny Smith Dip and Orange Marinate Salmon with Citrus Dill Coulis. The names are may be exotic, but they are really familiar dishes of meat and fish cooked in different eastern and western style. 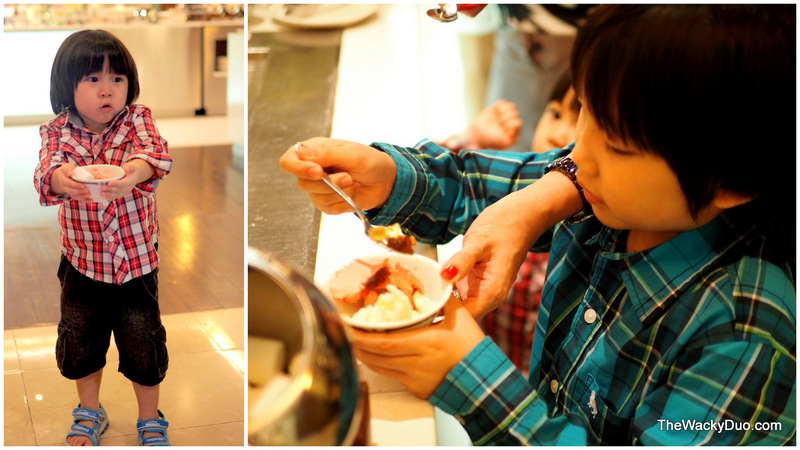 The kids favourite would be the dessert counter. 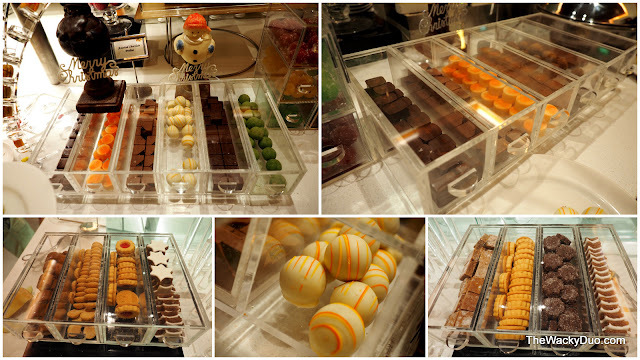 This is the center piece of the buffet, colourfully decorated with Christmas ornaments. You would not miss the towering Gingerbread house and the white Christmas trees by its sides. We noticed log cakes are aplenty around the counter. Feast your eyes and whet your appetite with Adam and Eve (Green Apple Mousse, Ginger,Cream Brulee, Almond Jaconde), Framboise Napoleon Log Cake, Chocolate Douceur Lactee Cake, Christmas Fruit Cake and many more choices. It's almost made us feel that we had discovered Log Cake Paradise. Naturally this is also our favourite station. Who could resist the ice cream or marshmallows dipped in chocolate sauce? We spotted a very pretty mini vanilla and chocolate passion cone. It looked so gorgeous that we were a little reluctant to devour it. So instead we look for some chocolates and biscuits to fill our stomachs... And just check out what we found... A sweet treats haven! 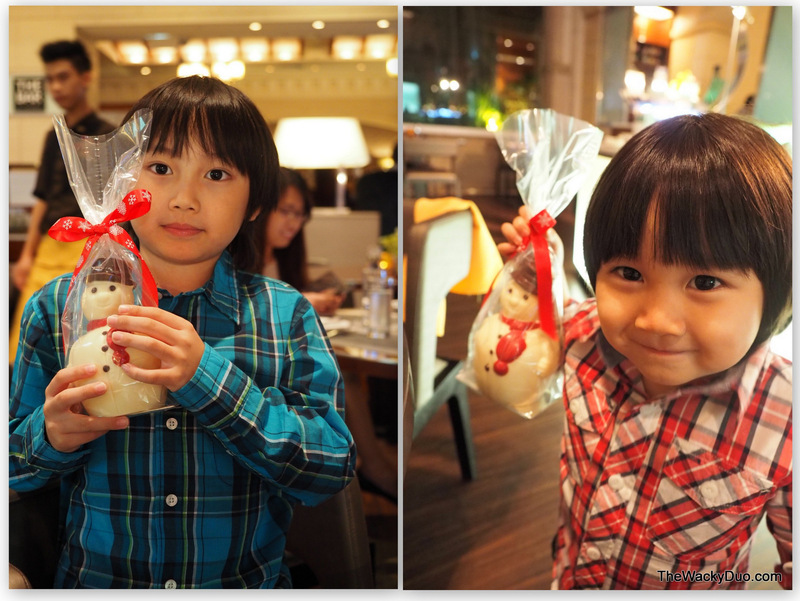 Since it is A Christmas buffet , do look out for the Gingerbread man and Woman. For this coming weekend on 14/15 Dec, children can participate in Santa's cupcake decoration challenge. Design the most interesting cupcake and stand a chance to win a night stay at Grand Park City Hall, complete with a buffet dinner for 6 on Christmas Eve! Open to the young at heart as well, so make it a family affair! We met up with the executive chef Mr William Lim who heads this creativity holiday spread. He has over 20 + years in the business and comes with excellent credentials both local and overseas. It was quite an experience to be pampered by his excellent service during the meal. Do place your orders here to avoid disappointment. It sure make our days when we were presented a white chocolate snowman each. Thanks to Grand Park City Hall for arranging this delicious treat! There will be a special buffet on the following dates. For full details, refer to Grand Park City Hall webpage.